Seas H1600-04 FU10RB. Linkwitz LXmini midrange/tweeter. £43.50 excl. VAT. 4” full range driver, extraordinary extended response & clarity. 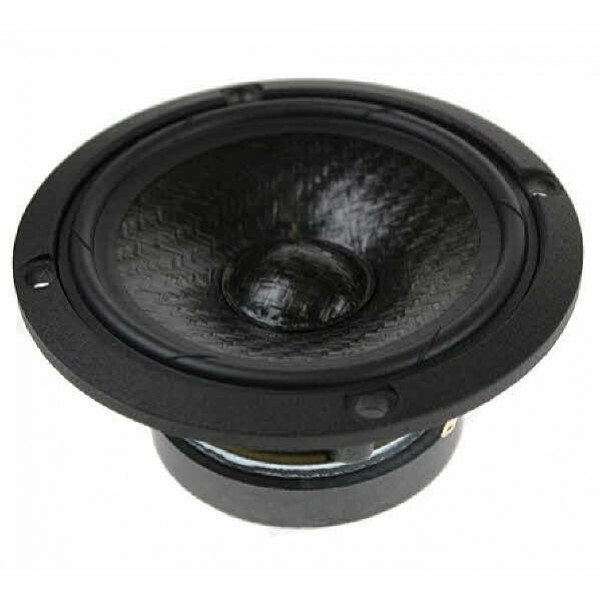 The new SEAS Curv cone, a woven polypropylene with excellent internal damping together with perfectly matched moving parts gives a smooth, extended frequency response. Seas H1600-04 FU10RB is an 4” full range driver offering an extraordinary extended frequency performance and sound clarity. The new SEAS Curv cone, a woven polypropylene with excellent internal damping together with perfectly matched moving parts gives a smooth, extended frequency response. The large, open weave fabric spider reflects very little acoustic energy to the cone, and offers excellent stiffness linearity. Small size combined with an excellent performance makes this driver the perfect choice for any application where limited space is a critical parameter.